Bayern Munich have finally overtaken Borussia Dortmund to go to the top of the Bundesliga table. They now have 57 points from 25 matches, level on points with Borussia Dortmund, but the former's slightly superior goal difference means that they are now ahead of Dortmund in the league table. Bayern had a really bad start to the season and were languishing at the 6th position of the league table at one point in time. However, they have gradually improved their form whilst Dortmund appear to be losing some of their steam. 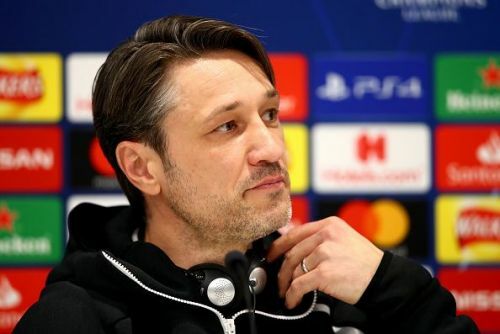 Bayern’s players and coach Niko Kovac can definitely aspire to win the Bundesliga title once again. The German giants have been dominant domestically in both Bundesliga and the DFB Pokal cup. After thrashing Wolfsburg 6-0, Bayern will now focus their attention on playing against Liverpool at home. A victory will see them qualify for the UEFA Champions League quarterfinals. Here is look at the three reasons behind Bayern’s rise to the top of the league table. Lewandowski continues to impress for Bayern and his good form is one of the primary reasons behind Bayern’s resurgence. He scored a brace the 6-0 win over Wolfsburg on Saturday, and now has 29 goals from 34 matches this season. He has also scored 197 goals in the Bundesliga so far, which makes him the highest scoring non-German in its history. Lewandowski is very lethal inside the opposition penalty box, excellent in the air and has a good eye on the target. All these qualities make him a dangerous proposition for the opposition defenders and his consistency is also an asset for his team. He is currently the highest goal-scorer in Bundesliga and has also scored some goals in the UEFA Champions League this year. He is also a very intelligent player and his off-the-ball play is also quite good. He scored in Bayern’s 2-3 loss against his former club Dortmund in November and would again look to score against them when those two sides meet again in April. The outcome of that match could decide the ultimate winner of the Bundesliga. Bayern would definitely need Lewandowski to be in good form for the rest of the season. When he is needed to perform for his side, the Polish striker has almost always been able to help his club. Despite all the rumours that he could leave Germany, Lewandoski has remained an extremely vital player for the club.